a blog post in honour of National Poetry Month. This piece was our third most popular post in 2018 and was reposted on The Word Collectors site (TLC Reynolds). My professional teaching blog is called Tinker with Text. On this blog, I explore the intersection of literacy and makerspace. Several posts have been recognized and shared by notable educators. 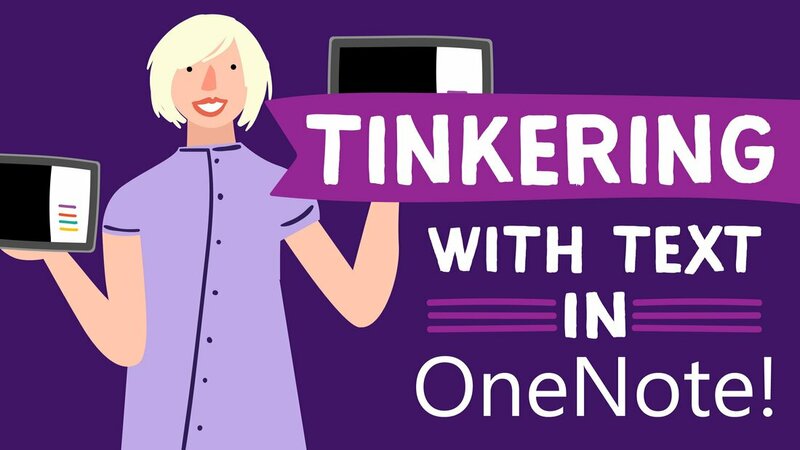 Recently, I wrote a blog post about Tinkering with OneNote, which is a free online tool created by Microsoft. The great folks at OneNote shared it and even created this fun bitmoji of yours truly. Thanks, Microsoft! English Practice is the peer-reviewed e-journal of the specialist association, BC Teachers of English Language Arts (BCTELA). I've had two articles and two photographs published in this thoughtful journal. My written contribution (pp. 42-43) has been published in the beautiful book, Teaching with Heart: Poetry that Speaks to the Courage to Teach. Due to copyright, I'm not able to include the full writing sample. Vicki's writing has been a huge benefit to WriteReader. Her blog posts include lots of useful and relevant information for our subscribers. Additionally, she is able to work independently and has fully managed the process of coming up with fresh ideas, creating outstanding content for us, and marketing it on our behalf. Vicki has shown an exceptional understanding of our product, which has resulted in quality resources for educators so that they can use our product in innovative ways. Her work has resulted positively in increased and relevant traffic to our site. Running a start-up company can be very busy but Vicki has managed to reduce some of our workload. Vicki Den Ouden is a teacher I turn to when I'm in need of perspective, a writer whose words move me and many other professionals in our field, and a human whose heart makes her one of the finest collaborators I've been fortunate enough to know. She has a keen sense of what makes for great content, an eye for detail, and an enthusiasm for the written word and those who produce it that is all too rare in this day and age. Vicki Den Ouden has been involved with English Practice for five years. During my time as editor and co-editor of the journal, she consistently provided useful and timely feedback for our authors in her role as a member of the editorial circle. Furthermore, the articles she contributed to the journal were well-written, engaging, practical, and based upon her extensive knowledge and expertise as an educator. It was an absolute pleasure to work with Vicki.